Dear Affiliates! The payments of the first half of April were successfully made. Check your wallets, funds was credited. In addition, we invite you to tell your players about the lotteries and tournaments that are held in the Slottica casino. Maintaining the interest of players with new activities, you will definitely increase the conversion and get more income in the next payment of partnership fee. 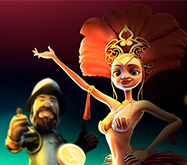 Slottica casino is in great demand among players. Always There are several tournaments and lotteries on the site, as well as a Leaderboard with an additional prize draw. Now Slottica casino holds a lottery “East Coast” with a prize fund of 4 000 USD, a “Closed Party” tournament with a prize fund of 1 500 USD and other events. Prizes offered to players in the activities, will certainly interest your audience. JimPartners affiliate program managers will be happy to provide you with free promotional materials for advertising the brand. Contact affiliate managers if you have questions or to receive promotional materials. Dear affiliates! We would like to remind you that you have a wonderful opportunity to expand your audience with the help of welcome bonuses of Slottica Casino. 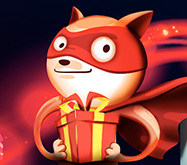 These presents can attract a huge number of new players and assist you in increasing the traffic from your resources along with your earnings. Bonuses for newcomers is the most attractive thing in an online casino for most of the players, and Slottica brand can proudly offer a great assortment of rewards. Your audience should be very pleased with such presents as 25 FS in Joker Pro and 200% to the first deposit, 30 FS in Gonzo’s Quest, and 100% to the third replenishment. Tell your players about these rewards and watch as your conversion goes up as well as your income! You can get more information about the special offers of the Slottica club and all the necessary promotional materials for the brand’s advertisement from affiliate-managers. Dear Affiliates! Your income for the period from February 16 to February 28 are already transferred to cards and e-wallets, specified in your accounts. Meanwhile, a lottery “Luxury Holidays” with a 1 500 USD (1 300 EUR, 101 000 RUB, 5 900 PLN) prize fund has started on the RedBox brand. It will help you to increase profit due to expansion of the audience. 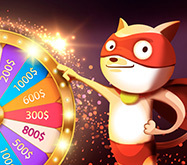 The new lottery in RedBox will help you to increase the traffic, since participation in it will give players an opportunity to win Sony Action Camera, Qumann Fitness Bracelet, Golan Heights wine, Travel Blue Inflatable Travel Pillow, and many no-deposit bonuses. Those players, who deposited 90 USD (80 EUR, 5 000 RUB, 290 PLN), will engage into battle for these rewards, while the most active participants will become the contenders for additional prizes of the final raffle on March 18. Tell your audience about the profitable conditions of participation in this activity to increase the conversion. You can get more information about the new lottery and all the necessary promotional materials from affiliate-managers. 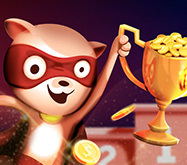 New tournaments in Slottica Casino with huge prize funds! Dear affiliate! We remind you that Slottica brand constantly launches new activities that help to engage your players. At the moment, there are two competitions held in the casino — “Lucky Number” and “Successful Spin” with 1 000 EUR/1 200 USD/4 500 PLN/ 75 000 RUB/6 000 TRY prize funds. Inform your audience about these tournaments to increase your earnings as a result of growing traffic from your resources. The more effort you put into advertisement of the brand, the faster the conversion goes up! We would like to remind you that Slottica accepts players from Turkey, Poland, and other European countries. New tournaments in the casino will be interesting for your players, since the winners get considerable no-deposit bonuses up to 200 EUR/240 USD/870 PLN/15 000 RUB/1 200 TRY. Those participants, who make more bets than others until March 3, will receive the prizes. Affiliate-managers will provide you with additional information about the special offers, competitions, and raffles on Slottica brand, as well as all the necessary promotional materials. Your earnings on JimPartners were paid out! Dear Affiliates! We hurry to inform you that your earnings for the period from February 1 to February 15 have been transferred to the accounts, indicated in your profiles! Check your e-wallets to see if the funds are already there. Meanwhile, a new lottery “Fairytale Lisbon” with a 1 300 EUR/1 500 USD/101 000 RUB/5900 PLN prize fund has started in RedBox. It is a great occasion to attract new audience and increase your conversion. New lottery on the RedBox brand will be interesting for your players because they can win such prizes as Nokia smartphone, Sony headphones, Rekam action-camera, Rombica VR-headset, and many no-deposit bonuses. Participants with the highest number of points will get an opportunity to struggle for additional rewards in the final raffle on February 25. Share the news about this lottery with your audience, and watch how your income is rising! You can get all the necessary promotional materials and more information about the raffle from affiliate-managers. 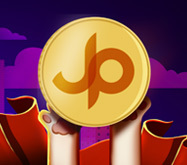 Engage fans of live games in Slottica Casino and get more income! Dear Affiliates! We would like to remind you that Slottica brand has an impressive collection of table games with live dealers that should be interesting for your players, who prefer poker, roulette, baccarat, and blackjack. You can increase the conversion significantly and, therefore, your earnings by expanding your audience. Tell your players about the possibilities that live games of Slottica Casino will open for them! Slottica club’s Live Casino contains more than 75 types of table amusements, where players interact with live dealers in real time. The most popular versions of poker, roulette, baccarat, and blackjack from such famous providers as Evolution Gaming, Ezugi, Lucky Streak, and NetEnt are presented here along with the special VIP-tables for those, who prefer to gamble in a big way. Hurry up to share the information about the wide assortment of Slottica Casino’s live games with your players! Additional info about Slottica’s Live Casino as well as the necessary promotional materials for brand’s advertising will be provided to you by affiliate-managers.